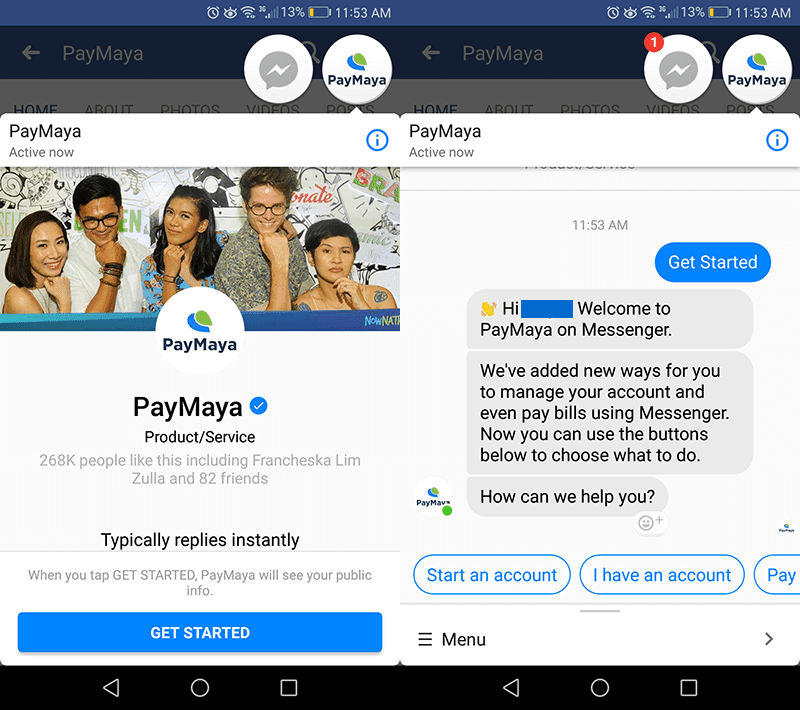 Report: PayMaya Services Are Now Available On Facebook Messenger! 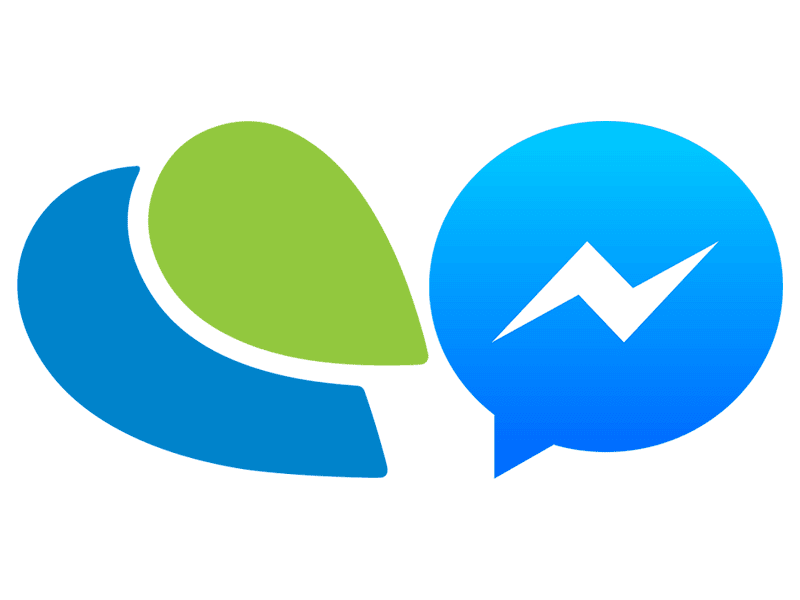 Home / news / paymaya / services / Report: PayMaya Services Are Now Available On Facebook Messenger! While looking for options online on how we can conveniently pay my monthly bills, we came across this FAQ page that discusses about the PayMaya for FB Messenger. A new convenient way to buy load and pay bills online? Related: PayMaya Services For Messenger Now Official! Not really sure though if this was already officially announced by PayMaya, but this is something really interesting. 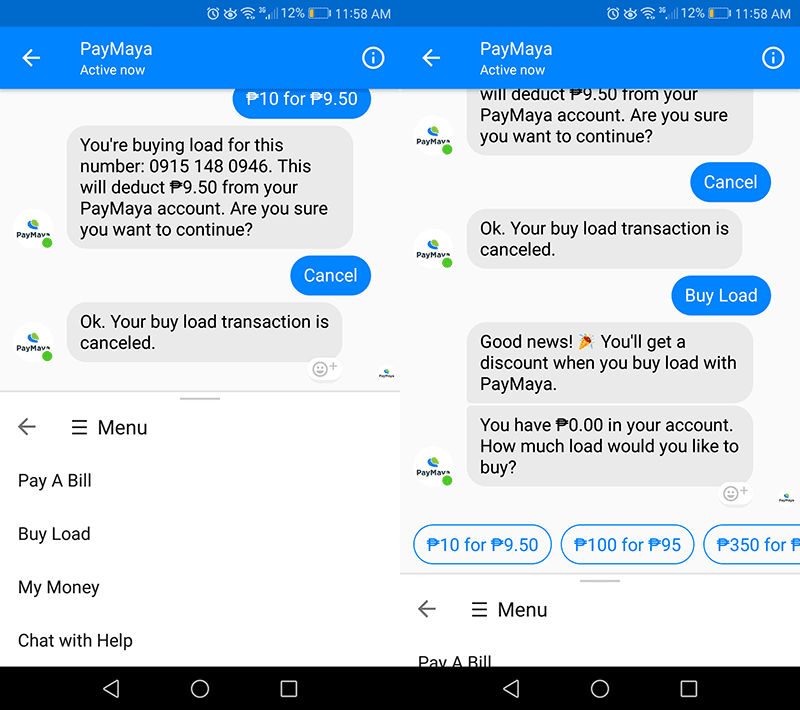 For someone who uses Facebook Messenger daily as means of communication, this new offering of PayMaya is something we would definitely consider. 1. Pay A Bill - It includes a wide selection of billers such Meralco, Globe Telecom, Sun Cellular, Smart Communications, PLDT, Manila Water, Sky Cable, etc. 2. Buy Load - You can buy discounted airtime load using this service. 3. Inquire "My Money" Balance - This feature will show the your left balance. Moreover, you may also use Chat with Help where it'll take you to PayMayaCares, the official support page of PayMaya on Facebook. To activate the service, just visit the official page of PayMaya on Facebook and message them. Once opened, it'll come with a message that will welcome users to PayMaya on Messenger. You'll see a bot that will talk and guide you on how to use this new service. If you don't have a PayMaya account yet? 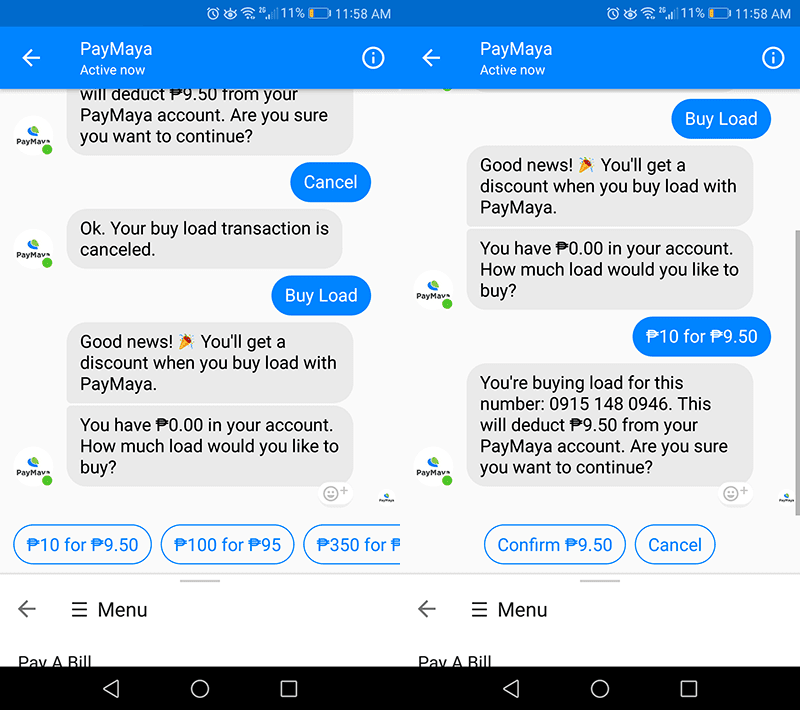 No worries, you can easily create your account using the PayMaya bot for Messenger. Take note, this is open to all mobile subscribers. This service works for both Smart and Globe subscribers.